35years experience in engineering and fabrication has allowed us to create some great projects and work with some amazing house hold names. Call into our friendly showroom environment and discuss their requirements. An onsite survey will then be conducted to evaluate the installation. When on site conducting the installation of automatic entry systems it is often than not that perimeter fencing is required to maximise the security of the site. We have a fully kitted out fabrication shop to cover. Constantly investing in the future we are always pushing the limits of what can be done. A1 Gates & Securities know that security and reassurance is important, A1 Gates & Securities are specialised in all aspects of gate installation from full building requirements i.e. 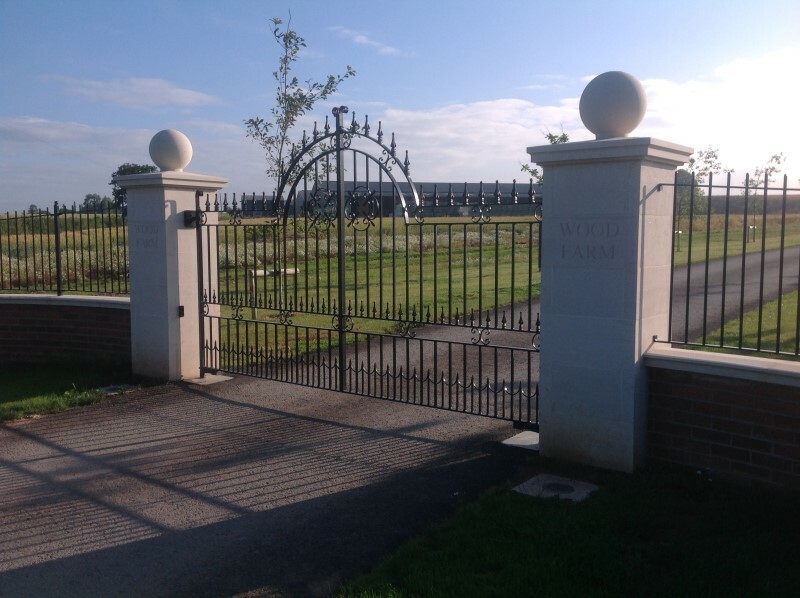 walls, driveways and drainage to individual gate requirements; lighting and electrical work. 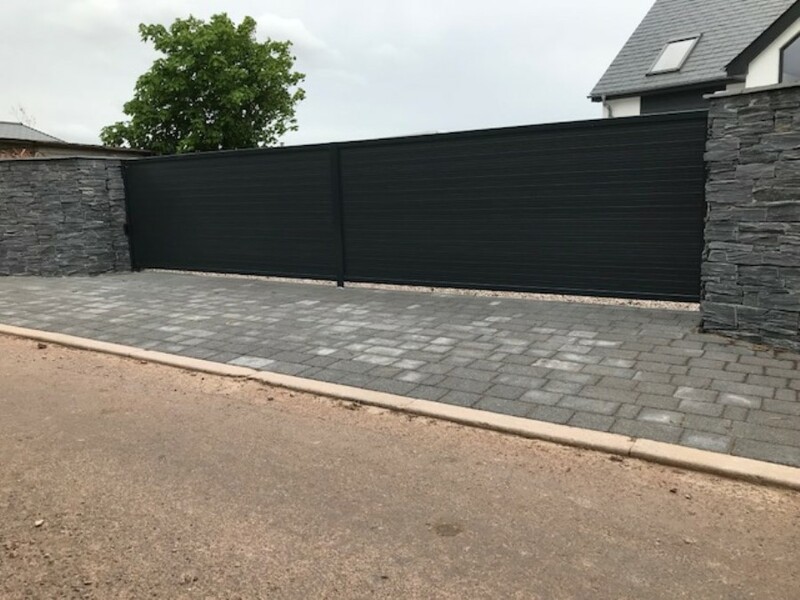 We offer a huge range of bespoke electric gates with over 25 years of engineering and building experience, you can be confident that A1 Gates and Securities will get the job done with maximum efficiency and minimum fuss. We are a family-run business that ensure a highly personal level of service. A1 Gates & Securities are specialists in perimeter protection. The perimeter of every building is always the first line of defence but sometimes the most difficult to secure. 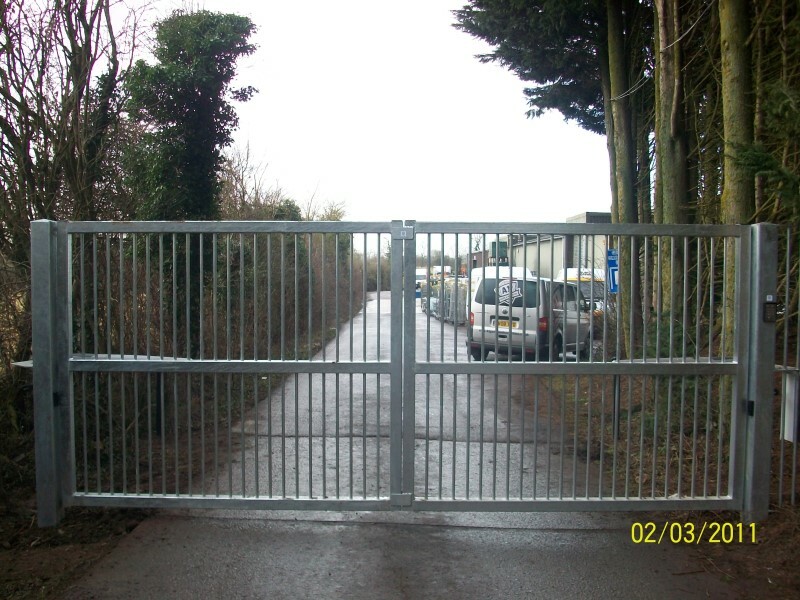 We can install a wide range of industrial gates and security fencing to suit your exact requirements. Our electric industrial gates are built to suit your business needs, we can tailor a security solution to your exact requirements. Do not hesitate to contact us to discuss ways of making your business more secure. Residential wrought iron gates are always popular with our customers, our electric residential gates made from wrought iron offer a diverse range of styles and designs both traditional gates and contemporary gates. 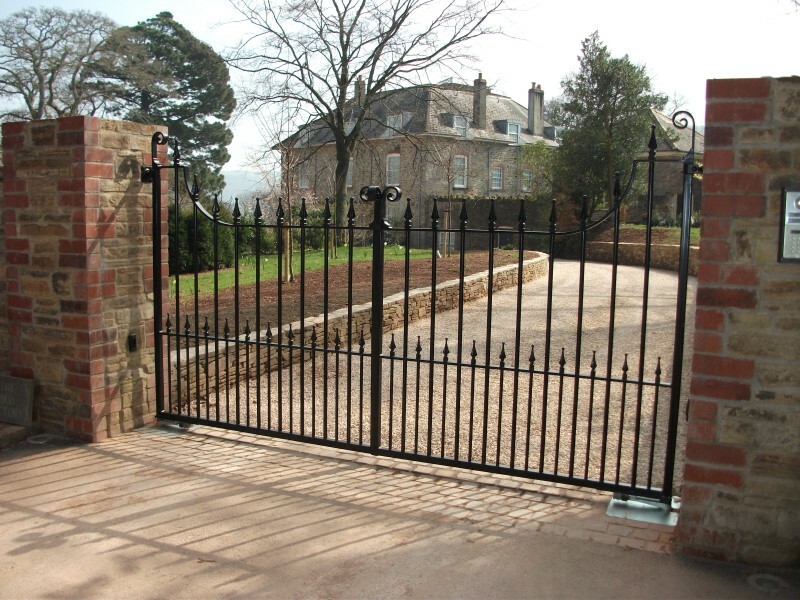 A1 Gates & Securities fabricate bespoke gates to your exact requirements. call us on 01884 820 490 to discuss your project or get in touch via our contact form. Many people prefer the look of wooden gates over their metal counterparts. The natural look and rugged strength of wood helps create a unique and personal set of gates. 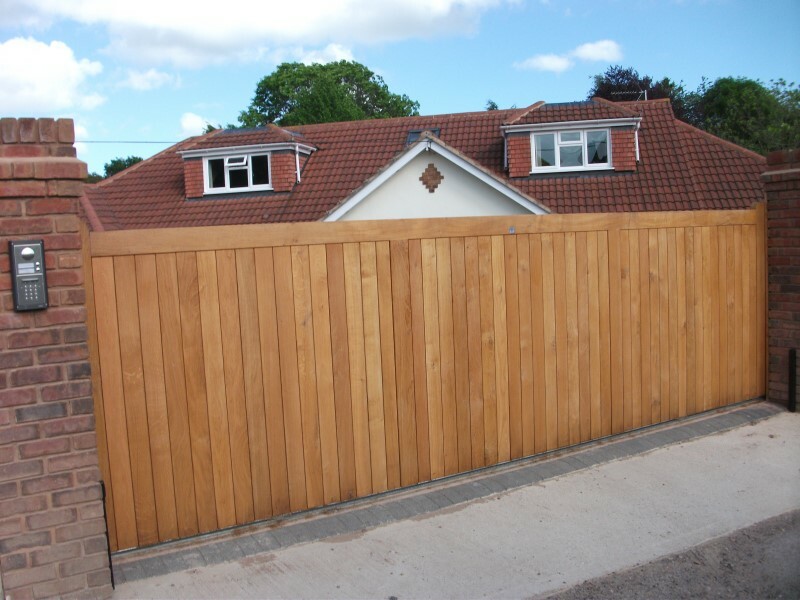 A1 Gates & Securities can recommend options available to you with wooden gates. 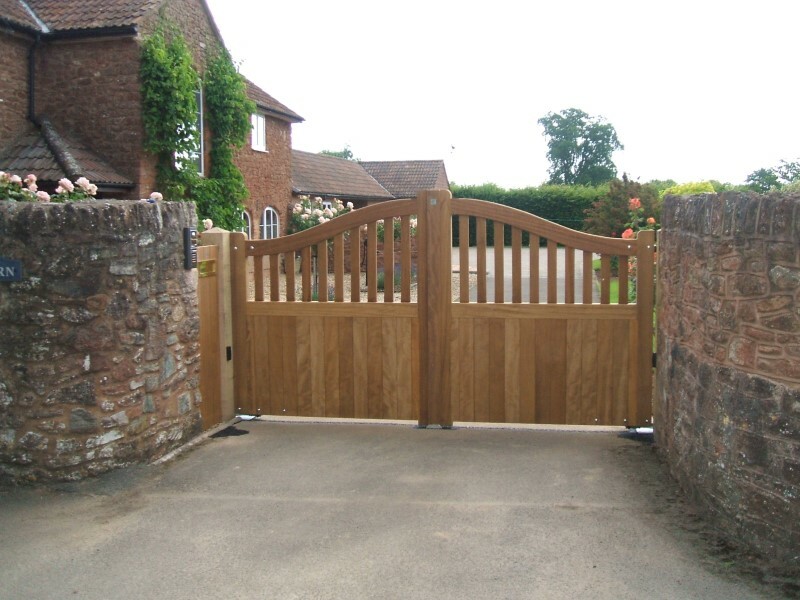 We are also able to offer tailored maintenance contracts to ensure your gates and automation system remain in tip-top condition. Please call us on 01884 820 490 to discuss your project. 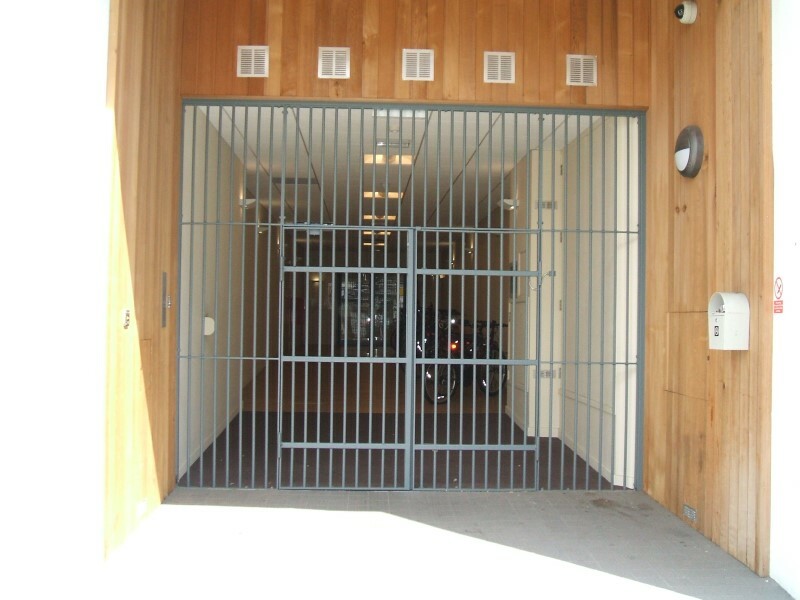 There are two different types of sliding gate mechanism: roller-tracked sliding gates and cantilever sliding gates. 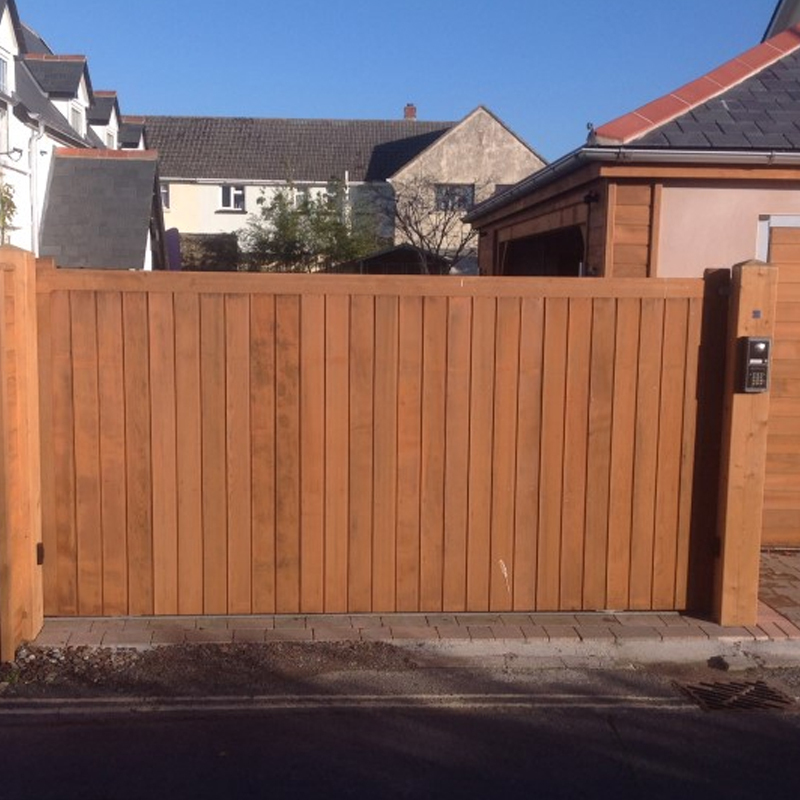 If extra security is required and the driveway needs to be securely closed off by the electric gate, then the electric sliding gate forms the ideal solution.